I haven't posted anything in a week, or even read email in a week, because I've been working on some new software projects. If you've seen any of my many cycling posts, you'll know that since I started cycling earlier this year, I've been riding a Trek 7.3FX “City/Fitness” bike that I picked up used at a local shop, seen in many of the photos on this recent blog post. 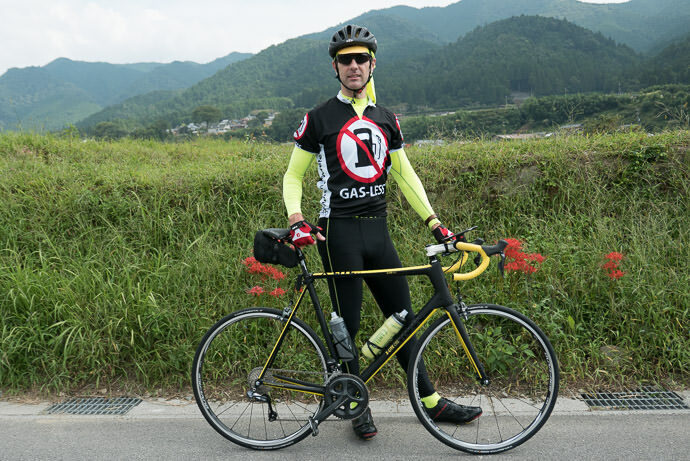 I've ridden it about 3,500km (2,200mi) through the mountains around Kyoto. I liked this because I was a strong powerful rider in their mind without actually having to be strong and powerful. If I actually got a real road bike, I'd be discovered for the slow lumbering give-upper that I am. Also, physics doesn't back up the thought that the bike weight would have such impact. 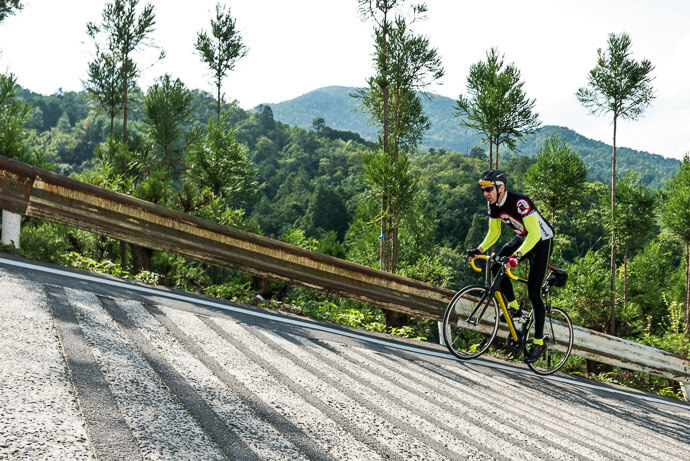 Sure, it sounds like a big deal to cut the weight in half, but when trying to chug uphill you're not just pushing the weight of the bike, you're pushing the weight of the bike and the rider (and all the stuff I take with me, like my camera, lots of drinks and food, etc.). My weight of 85kg (187lb) dwarfs that of the bike, mitigating the savings. I calculated that moving to a 7kg bike would cut the weight I have to push uphill by 6%. Big whoop. 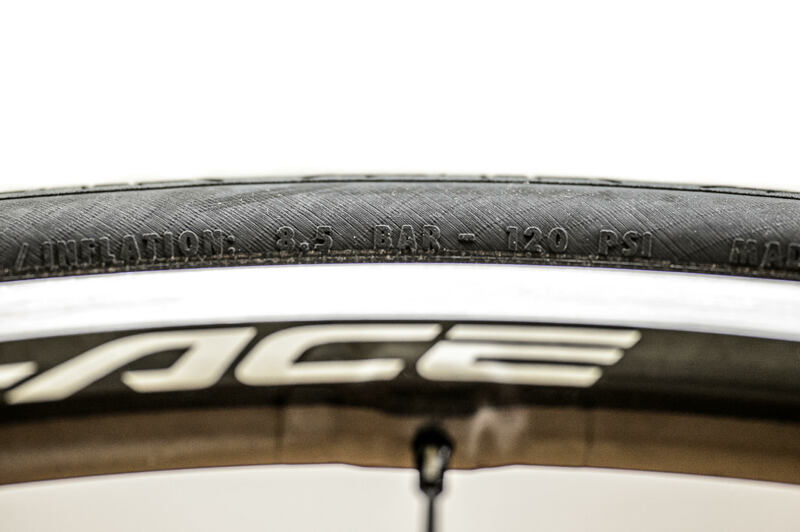 But then, weight is not the only factor in what makes a bike fast. There's the aerodynamics of the bike, and of the position it puts your body in. There's the amount of friction in the wheel hubs and other moving parts, and of the tires on the road. There's the “rotational weight”, which apparently can have a big impact, so saving weight on the wheels makes for a bigger benefit than the same weight saved elsewhere. And then there's the psychological factor... if something about the bike makes you feel faster, you will be faster. I don't think this will all add up to much, but it'll add up to something, so I went ahead and bought a new bike. If nothing else, at least it will shut up the cacophony of “man, you should get a real bike...” comments. The new bike arrived a few weeks ago, but it was a long, convoluted road to my front door. 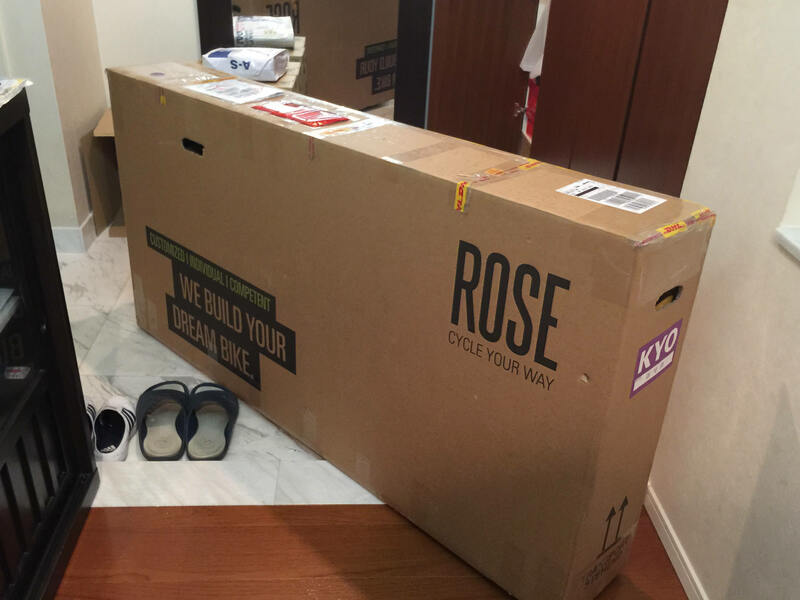 After much research, I bought a bike from Rose, a German manufacturer. A number of friends have bikes from German manufacturer Canyon so I looked into getting one there, but at the time they didn't have any in my size. 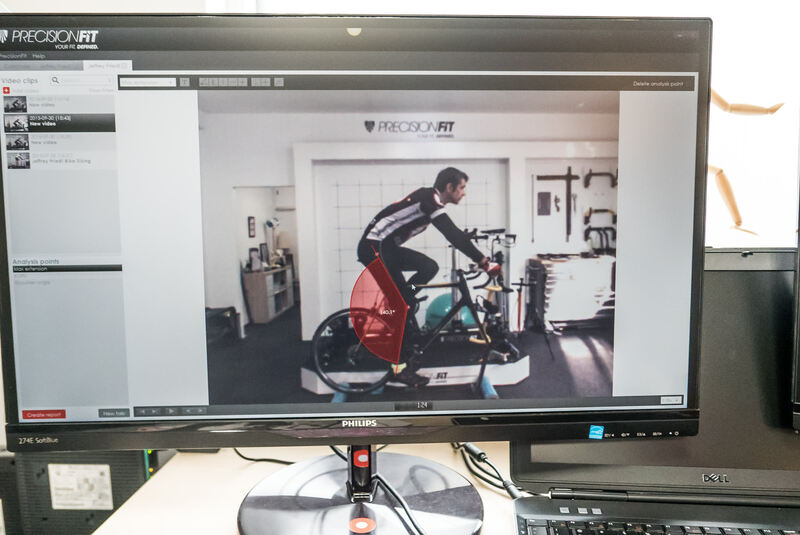 Their system makes sure that all components work together (some tires can't work with some wheels, for example), and shows an image of the result updated in real time with the changes you make. It's very spiffy. 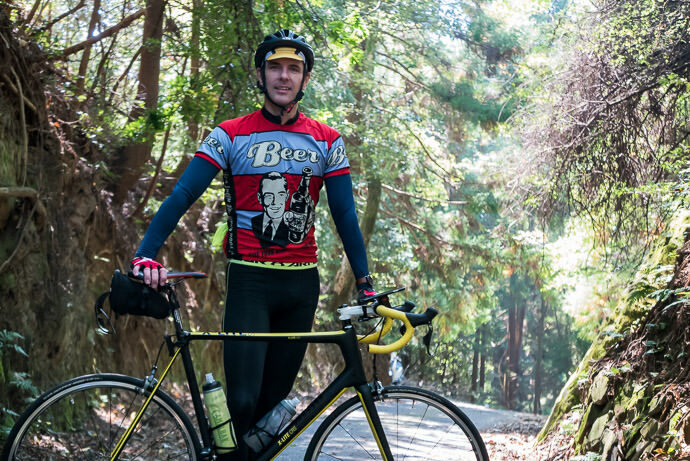 I selected fairly high-end gear because I didn't want to outgrow the bike any time soon. When I got into photography a decade ago I was fortunate enough to read this article on tripods by Thom Hogan which teaches that there are two ways to buy a high-quality tripod. The first way is that you waste money on successively-better inferior equipment until you finally buy something that's actually good, or, the second way is that you just buy something actually good right away. I think this advice applies to a lot of things that are meant to be used for a long time, like furniture, luggage, lenses, suits, etc. So, I researched as best I could, and relied on the informed opinions of friends I trusted. Once you've made your selections at Rose's web site, actually placing the order is a much less enjoyable experience. They say that they accept PayPal, but it turns out that this is only for customers in the EU. At least this tidbit is mentioned in the small print on the site. As for credit cards, not mentioned anywhere on their site is that they accept only “3D Secure” cards, which is something I'd never heard of. It turns out that it's not common in The States... none of my cards had it, nor my parents' cards (I was visiting them when I first tried actually placing the order). The last resort is a bank wire transfer, so with that method of payment I finally placed the order for my bicycle.... but when I got the wire details, I realized it was a dead end because they don't accept standard international wire transfers, but only wires on some obscure little system used in Europe. Another tidbit they failed to mention on their site. I couldn't believe how difficult they made it for me to give them my money. They seem to be set up for worldwide sales, but judging by my experience, they appear to have never sold outside the EU. I was ready to give up, until my brother Steve came to the rescue: he had a credit card Rose would accept. So with his help I placed my order. I had to rebuild the order from scratch; I would have liked to have just updated the payment method on the original order, but for inexplicable reasons Rose doesn't allow anything to be changed once an order has been placed. Absolutely nothing can be changed, even if the order wouldn't move to the next stage for over a month. Yes, my order would just sit there waiting to be built for five weeks because, I suppose, one of the components I customized was backordered. I was willing to wait. Meanwhile, I returned to Japan. Upon entry I told the customs officials about the impending arrival of the bike, and they had me declare it as “unaccompanied baggage”. 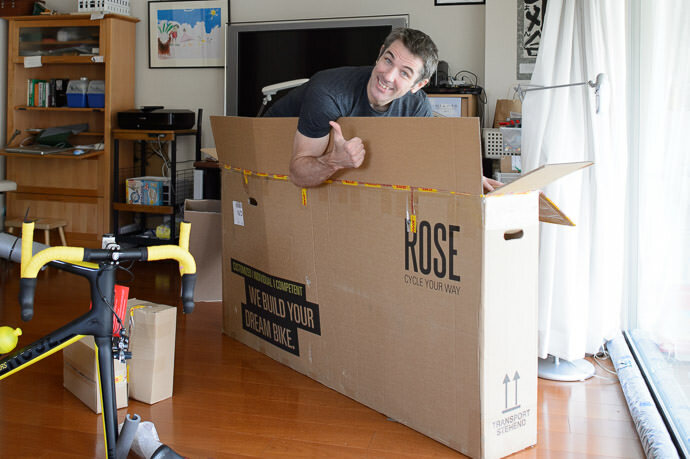 As such, things would go much more smoothly if the phrase “unaccompanied baggage” would be written on the box somewhere, and I had to beg Rose to add the phrase to my mailing label. It took some back and forth because they really really really don't want to change anything about the order after the “order” button has been pressed, but they finally did it for me, thankfully. Six weeks after ordering, it finally arrived to my door. 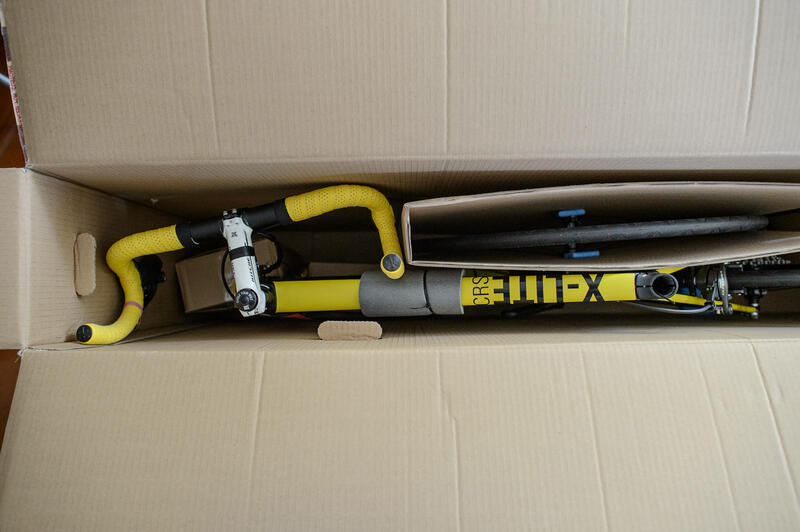 I was excited when it arrived, of course, but with the willpower of Zeus himself, I set the box aside unopened for five days because I had family things that needed my attention and so didn't want the distraction of the new bike. 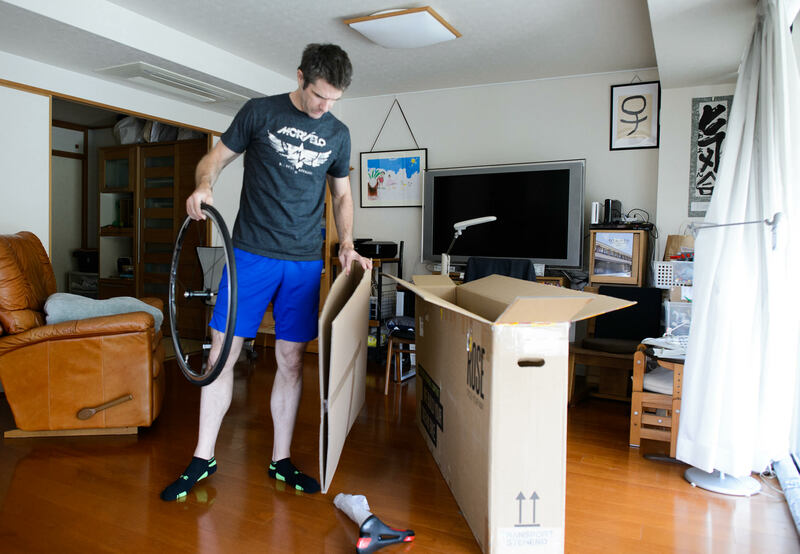 When the box first arrived, I posted a picture to the “Cycling Kyoto!” facebook group, to which I unsurprisingly received replies like “Nice box!”. My reply to that comment was "Dude, it's HUGE... I can make a fort, a pretend store,.... really, the ideas are limitless. So cool.". 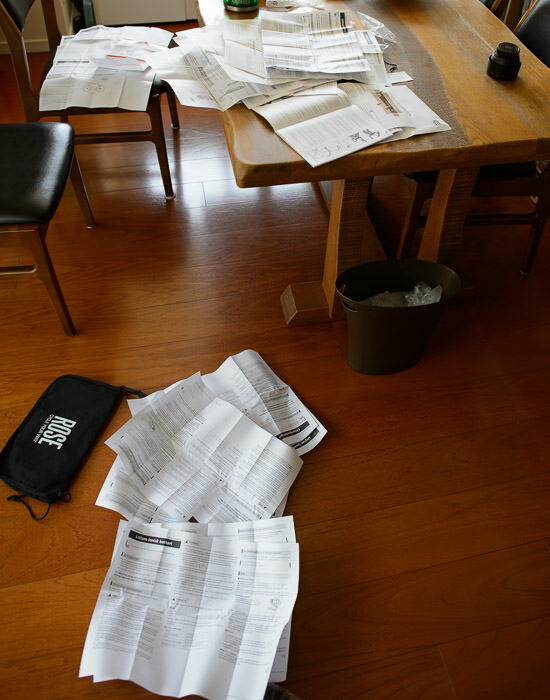 You wouldn't think that a bicycle would need much of a manual, but there were separate manuals for many parts, including five different manuals for the electronic shifters (separate manuals for front derailleur, the rear derailleur, the controller, the battery, and the shift levers). 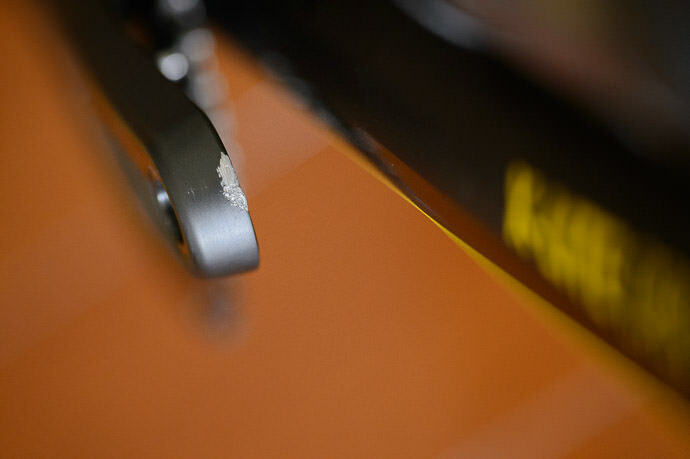 One of the crank arms (where the pedals attach) had a huge gash in its metal on the inside edge, something that had to have happened before he bike was assembled at Rose. To their credit, when I contacted them about it, their first immediate reply was that they would send a replacement and so would I be able to install it? That was cool. To swap it out requires specialized tools, but would take only five minutes, so I said I could have a bike shop do it. But then I also said that I'd consider just accepting a credit to my account and deal with it completely myself. If this idea appealed to them I thought they'd propose an amount, but instead they replied “Great, we've credited you €50”. Uh, okay, I would have like to have been given the option to accept or decline, but sure, that seems reasonable. There wasn't much assembly to be done, but part of it was hooking up the battery (that of many manuals) in the seat stem to a wire coming from the frame. 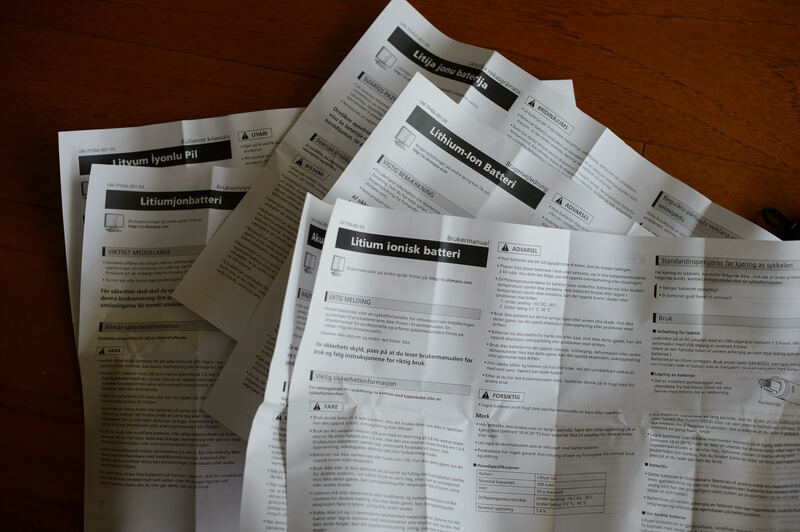 A special tool was included to facilitate this, but it was impossible to use. I think they installed a wire backwards or something, and I sent them photos to let them know about a possible problem in their assembly process. But I could work around it easily enough. 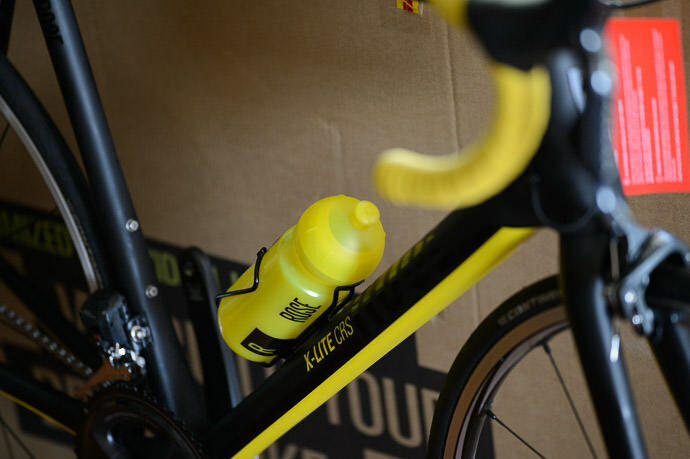 The bottle cages, which I had bought separately, are to be installed with two simple screws each, and this proved to be a much more difficult task for me. I somehow installed the first cage upside down, so I had to take it off and reinstall it. Silly me. But then I inexplicably did the exact same thing with the second one. Am I old enough to use the phrase “senior moment”? I'd never ridden a bike with drop handles, so was a bit worried how I'd handle how it handles. As a little test, I cycled over to NORU Kyoto for a cup of coffee and to show off the new bike. As I explained above, I wasn't too hopeful for how the low weight (7.2kg without drinks or luggage) would help me when climbing mountains, but I did have hope for how the large 52-tooth front gear would help me on a fast straightaway. With that in mind, on the way home I gave it some gas on a 600m (&frac13; mile) straightaway where the speed limit is 50 kph. I kept up with the cars, so figured that I did it sort of well. I'd find out the details once I got home and uploaded the ride data to Strava. 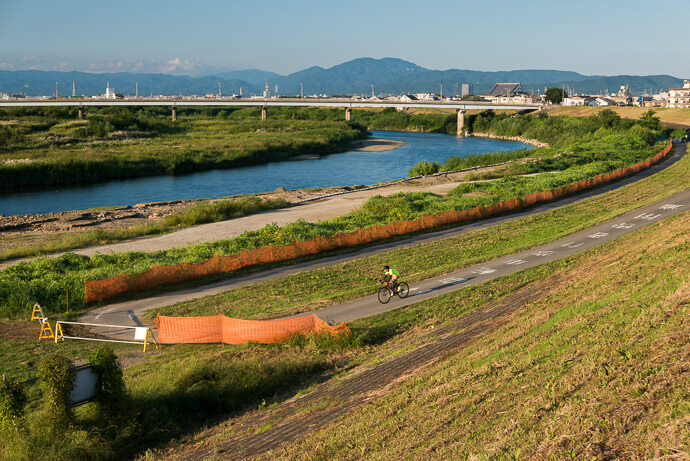 Finally before returning home, I wanted to see how it felt on a hill, so I gave a try to a little hill that rises 47m over 600m (150' over &frac13; mile) for an average grade of 8%. What I found out is that exherting oneself on the new bike is no more nor less tiring than on the old bike... hard is still hard. I didn't give it 100%, but the 70% I gave felt like 70% on the old bike. So I returned home and uploaded the data to Strava, and was a bit surprised to find that despite not having given it my all, I actually beat my previous best time on the straightaway section by two seconds, to log a time of 50 seconds with an average speed of 47kph (29mph). This was the second fastest time of all the 316 people who have recorded attempts of the segment at Strava, which might sound impressive except for the fact that most folks riding the segment don't realize nor care that it's a segment; they're just cycling by on the way to or from somewhere. Still, it's rare that I get into the top anything, so I'll take it. If I go there some Sunday morning when there's no traffic, I'm sure I can beat the 46 seconds currently listed as the top time (but if any of my friends actually make an effort at a time, I'm sure they can do it faster than I can). More surprising still was my time on the little climb near my house where I beat my previous PR by 13 seconds to log a time of 1:15. This put me in sixth place out of 526 riders who have logged the segment with Strava. This was better than the 6% improvement I thought I might find, so I was pleased. 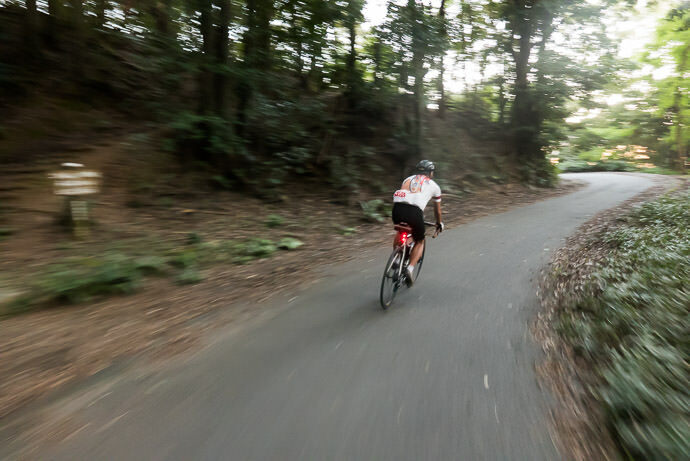 The next day I went out for a quiet ride with Michael Edwards, and we did a “Heart Loop”, a common Kyoto route described here. Michael was feeling sluggish due to jetlag, having just returned from a visit to The States, so we took it easy, and I got the chance to start to get to know the bike. 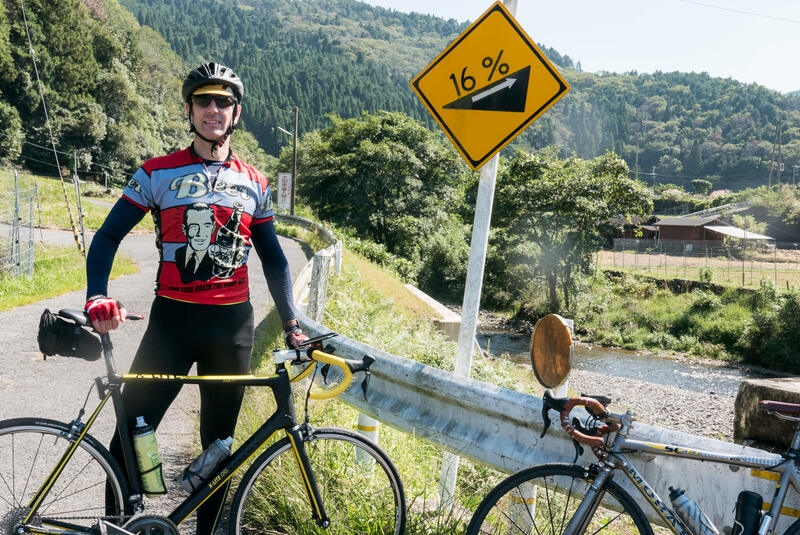 Michael is a fast guy, so his “taking it easy” on the first little climb out of Kyoto (3% for 1.5km) was still faster than I'd done it the first time. But it felt easier than the first time, so that boded well. When I was configuring the bike at Rose's website, I could choose black or white for the stem (the short segment that connects the handlebars to the bike frame), and for some reason I thought that white might make for an interesting accent. 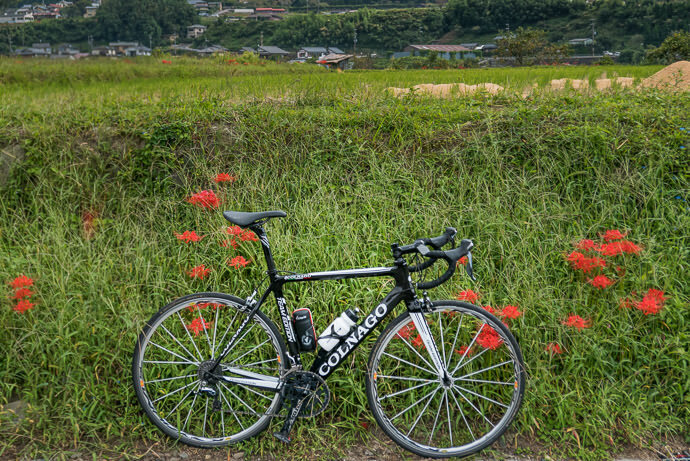 I realized that I was wrong on that point the moment the bike arrived, and the white stem just looks out of place. As I write this article a week later, it's already been changed for a black one, but not for vanity reasons. More on that later. We continued on, and on the first big climb (7% for 1.7km) we rode slowly together and it was very easy. When I got home and checked the data, I was shocked to find that I'd missed my PR by only a slim margin (6:15 vs. 6:01). 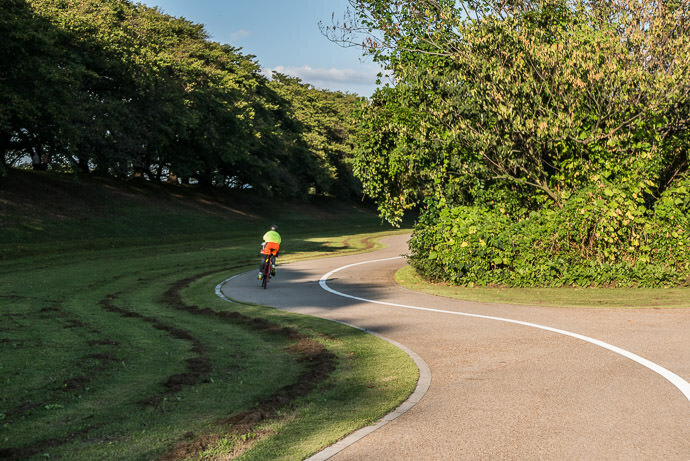 If I'd known at the time it would have changed how I felt about the rest of the ride... it was really shocking to me that an effortless lazy stroll on the new bike could end up being almost as fast as a fairly hard effort on the old bike. Then there was a long downhill where I tried go quickly. I had hoped the larger gear on the front would allow me to continue to accelerate as long as I had power, but I quickly “spun out” (reached the limit for how fast I could pedal), and so my speed was similarly limited. I was disappointed, and not surprised when I returned home to find that I'd beat my PR by only four seconds (2:27→2:23). Then we came upon a short little uphill sprint that I like to try my best on, so I hit it fairly hard. Like the little uphill sprint I tried the previous day, I didn't feel any faster, just equally tired. Thus, it was one of the biggest shockers for me when I got home... it turns out that I crushed my PR on this one, despite giving it only an 80% effort. My previous PR was 1:44 on a day that I got a running start at it and gave it absolutely everything I had, but today I did it in 1:19, an improvement of 24%. Again, I didn't know any of this while I was out riding. 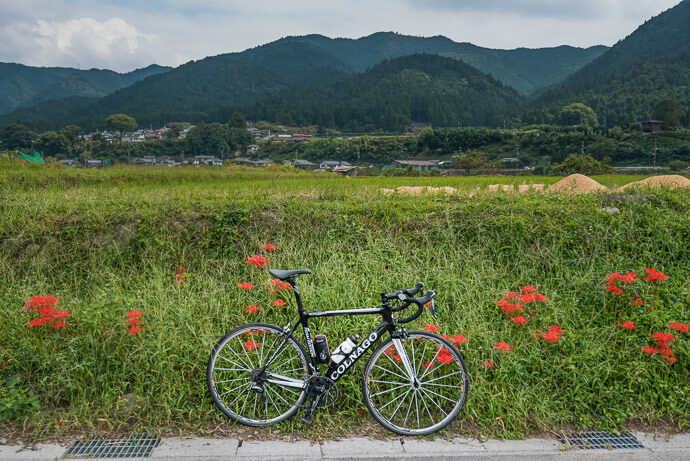 After a long lazy climb back into the mountains, we came to Mochikoshi Pass (持越峠), a short but brutal climb that rises at a 10% grade for 1.1km. 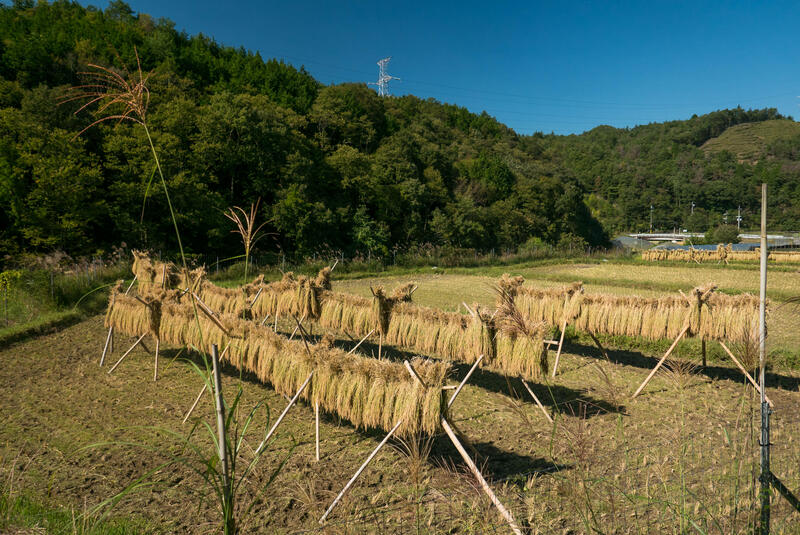 Unlike, say, the much more difficult Momoi Pass where the brutality is in trying to merely complete it, the brutality of Mochikoshi Pass East is in trying to do it quickly. The steepest section is at the beginning, leaving little left in the gas tank for the remaining bulk of the climb. Michael, who had been one of the more vocal “dude, if you had a real bike...” crowd, suggested that I could do the hill in five or five and a half minutes. Considering that my times on previous attempts had been 6:27 and 7:05, anything below 6:00 seemed far fetched, but to make an informal timing I left a stopwatch running on my handlebar-mounted phone, and noted its times when I crossed the starting and ending points of the segment. It was horrible. I was breathing so hard for the entire run that my throat got cracked and dry. It was not fun at all. But I did it in about 5:05, which perhaps made up for the pain that persisted in my throat for the next couple of days as the pain turned into a mild cold (or the pain was an early warning for a mild cold). I was stoked... the bike really did make me faster. Michael was still in “taking it easy” mode, so I'd left him behind at the start, and was likely not visible to him on the hairpin-filled road after the first 30 seconds, yet based on how I started he was able to predict that I'd done it in five minutes. When I got home to check, it turned out to have been 5:01. Amazing observation skills, Michael. 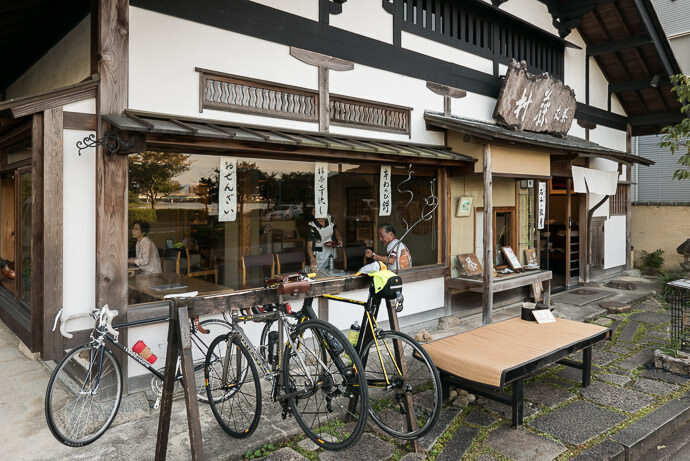 We took it easy for the rest of the ride back to Kyoto, stopping by the Hasegawa cafe for coffee. We then stopped by the “Nasty” 21% grade. As I mentioned in my update on riding clipped in, its an ultra steep section like that still makes me worried about falling over, so I thought I should just get it over with. I was quite apprehensive about it, especially since a large group of riders arrived just after us and so any falling over would be done in front of them. My concentration was not on speed, but on simply not falling over, and it turns out to have been no problem. It also turns out that I again crushed my PR, going from 39 seconds to 33 seconds. As I write here, Strava has issues with this particular segment, but I believe my 33-second time is the 3rd best overall. So, that was my first real ride, 57km (35mi) filled with new personal records and hope for the future. Michael and the others were right: I would be fast on a new bike. Unfortunately, as I mentioned about the throat pain, I did come down with a cold for a few days. Once it was mostly better, I went out for a ride just to try to chase the cold away with some physical effort. On Ride #2 I did some exploring of new mountains, and some short climbs. I didn't exert myself too much, but still made a few new PRs, so that was nice. The electronic shifters are nice, but they are not as smart as I'd hoped. You can press the button to shift gears very quickly, and it tries to move the derailleur faster than the gears can actually shift, so if you're not careful, you can get some clunking and skipping. And even if you're careful, it still clunks and skips at times under heavy load. It's much better than what I had before, but it's not at all perfect. It's nice and I don't feel the need to change it, but using it still requires skill. The next day I went out for an easy ride with Anthony, 43km (27mi) along a river and back. 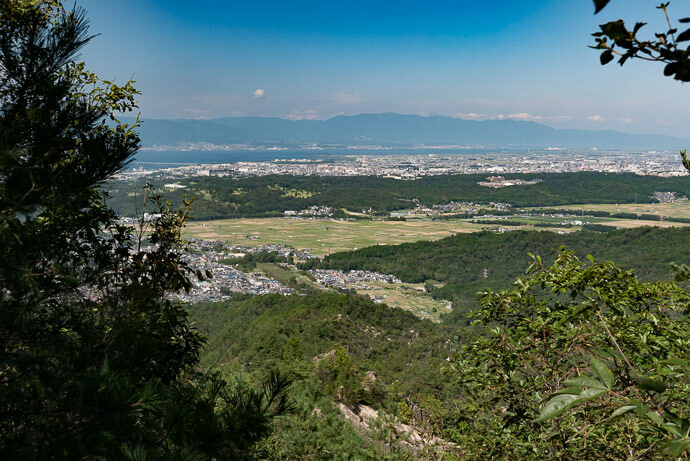 We went as far as this park that I wrote about 8½ years ago, which is absolutely stunning during cherry-blossom season. When we were there, it was “just” simply lovely. 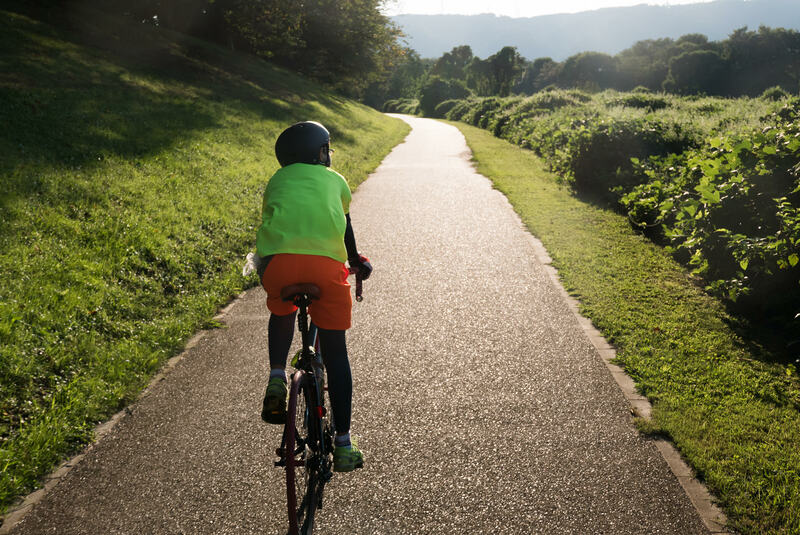 It was a trivial ride for me, but quite an accomplishment for 12-year-old Anthony, who hasn't ridden his bike much lately. I'm glad I made him get a shower right away after we returned home, because he then fell asleep and didn't wake up until it was time to get ready for school the next morning. 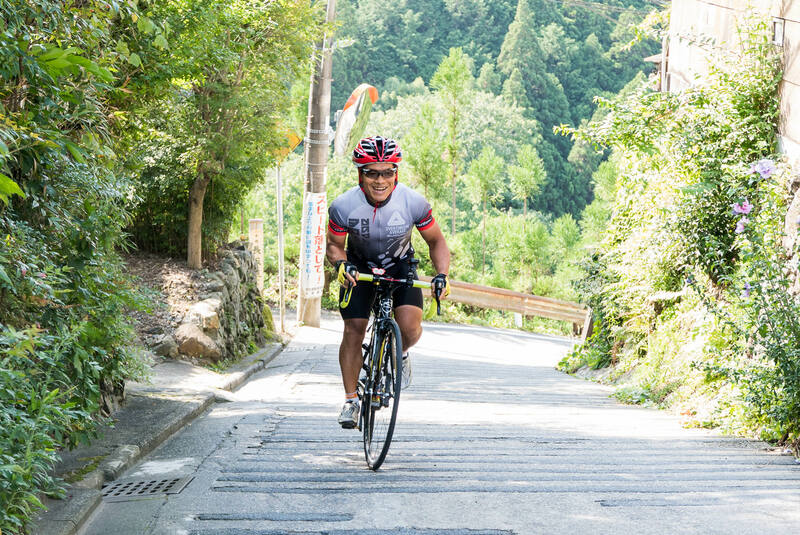 I was feeling better from my cold, so the next day I did a more ambitious ride of 110km (68mi) with lots of climbing, with Manseki. We had great fun exploring new mountains to the southeast of Kyoto. It's interesting to compare the photo above with this photo (also by Manseki) at the same location on a ride in March, going the other way. It was one of my first long rides, and the climb absolutely killed me. For context, the bridge seen in the background of this picture can be made out near the upper left of the photo above. Descending the other side of the mountain involved a kilometer of gravel and fording a stream, but we were soon thrown into our next climb. I don't know what road the “16%” sign was for, but it wasn't for the road we were on, because the climb was not bad at 7% for 4.6km, followed by the most lovely fast descent where I could average over 40 kph for more than three minutes. It ends near some nice rice fields, where the harvest has started. 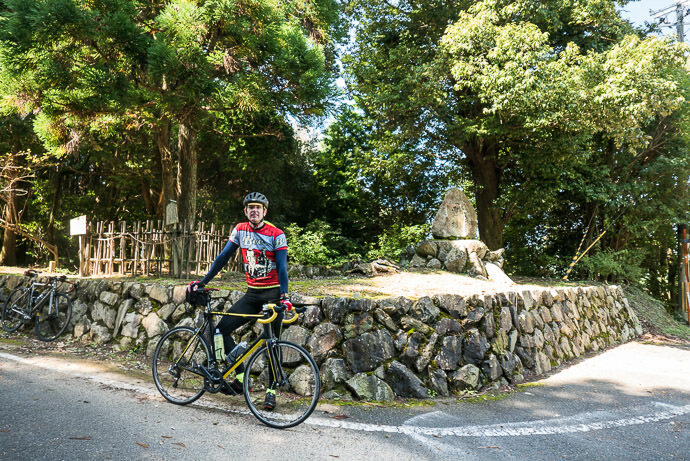 I had been hoping to make it as far as this remote temple, but we were taking it too easy and time was running short, so we turned around at the gate of The Miho Museum. 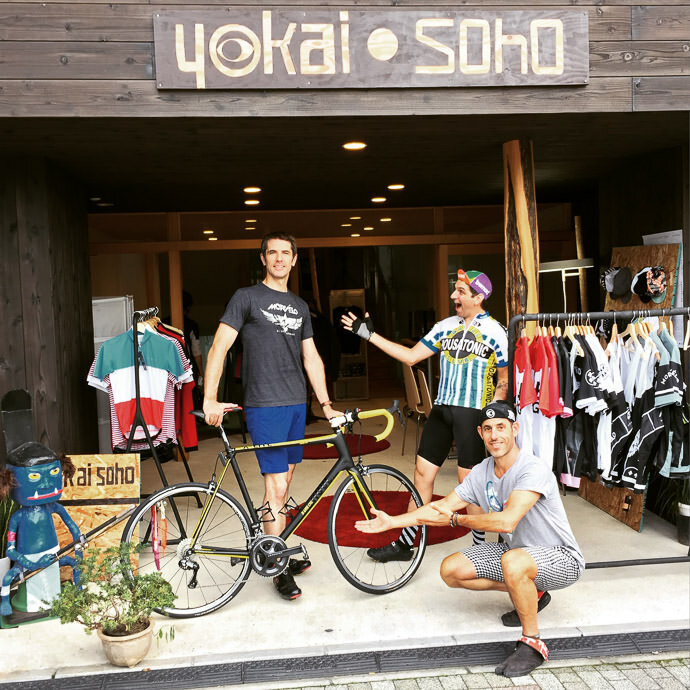 On the way home we stopped by the Sajo Towson (茶丈藤村) cafe, which is run by a cyclist friend of Manseki. We'd stopped by on that ride in March as well. 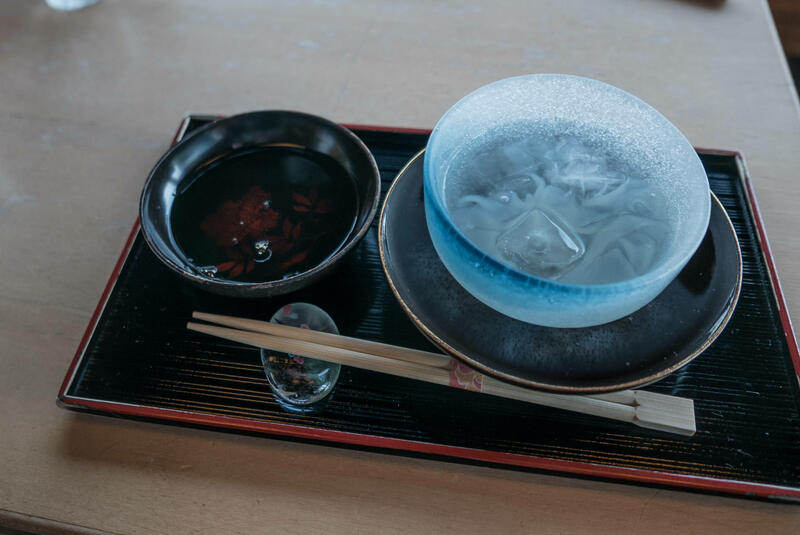 I had some Terabe Mochi, which was a waste because I scarfed it down but its delicate flavors are better suited to a slow lingering enjoyment. I should just bring some home next time. 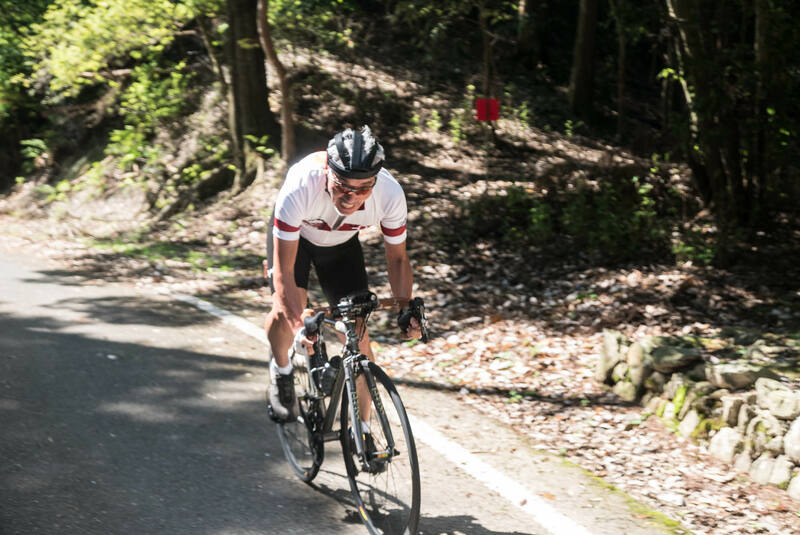 Feeling mentally comfortable on the bike, I made PRs on the last two climbs before home, where I tied Gorm's time on Kosekikoshi Pass (小関越), and shaved off a few seconds from the climb up the hill at Keage (蹴上げ東), which I last PR'd after the 230km ride around Lake Biwa. Finally, my most recent ride was another heart loop. It was a group ride where we mostly stuck together, but I still made a bunch of PRs, including averaging almost 60 kph (37mph) for the two minutes down the fast downhill I mentioned from Day 1. Twice I hit a five-second average of 70 kph (44mph), but that seems to be my limit. I've been told since then that gains beyond that are to be had in aerodynamics, so I'll have to follow the advice in this well-timed GCN video on aero-riding. 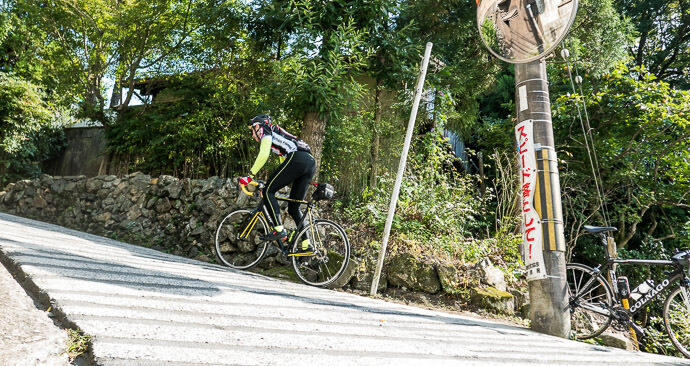 I couldn't repeat my 5:01 time on Mochikoshi Pass, even though I felt I tried harder. The first initial climb just killed me, and I had nothing left for the rest. I did a 5:10. I guess this tells me to take it easy on the first climb, then use the saved energy on the “easier” (everything's relative) last &frac23; of the segment. So, that's my experience with the new bike. After 309km (190mi) I feel pretty comfortable with it, mostly. It's my first drop-handle bike so I've still got to get used to the various riding positions it affords. They're so different from anything I've ever experienced that I don't have the knowledge to differentiate between something I've just not gotten used to yet, and something that's misadjusted. So with this in mind, I went to someone who does have that knowledge, and stopped by for a followup bike fitting at Vincent Flanagan's PedalForth. 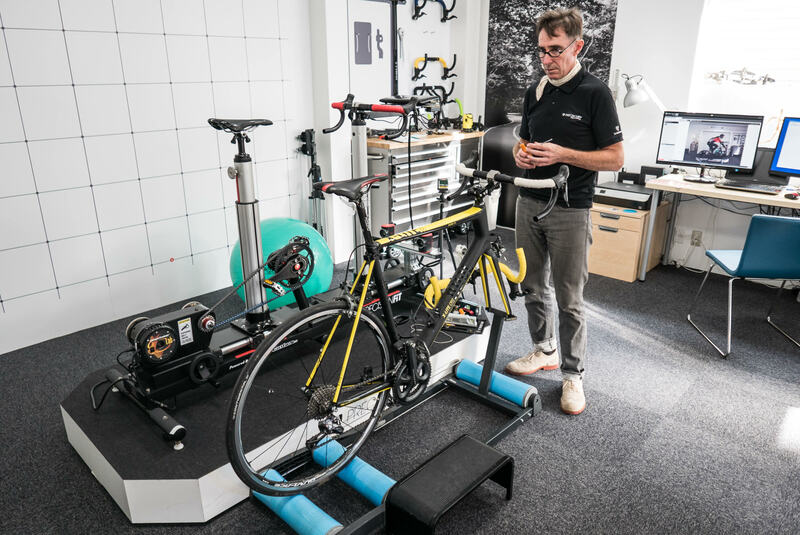 Since this was a followup to my earlier bike-fitting session, Vincent started right in with the measurements of the bike's current setup, and asking me how I feel about that current setup. I felt mostly good about the bike, but felt that maybe the reach to the handlebars was a bit long, and that I wasn't sure yet how to get the most power through the pedals. 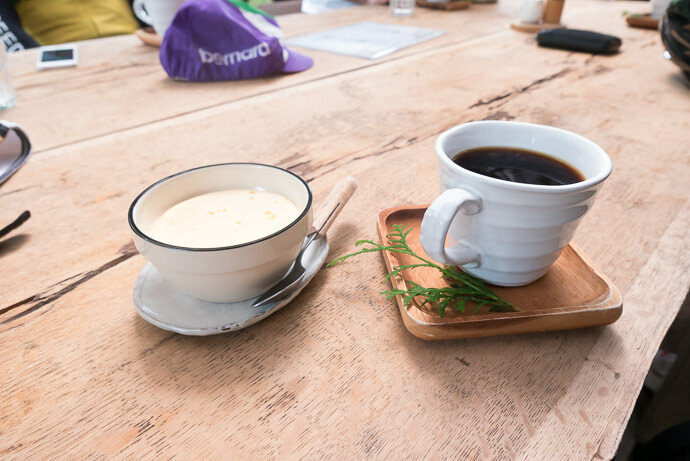 Now when riding hard, I sometimes feel I'm not being particularly efficient. I don't know whether these are issues of the bike setup or just my ignorance on how to ride this kind of bike. Vincent did his thing, and we ended up moving the seat up by 23mm (&frac78;"), the handlebars back by 32mm (1¼") and up by 21mm (&frac78;"). 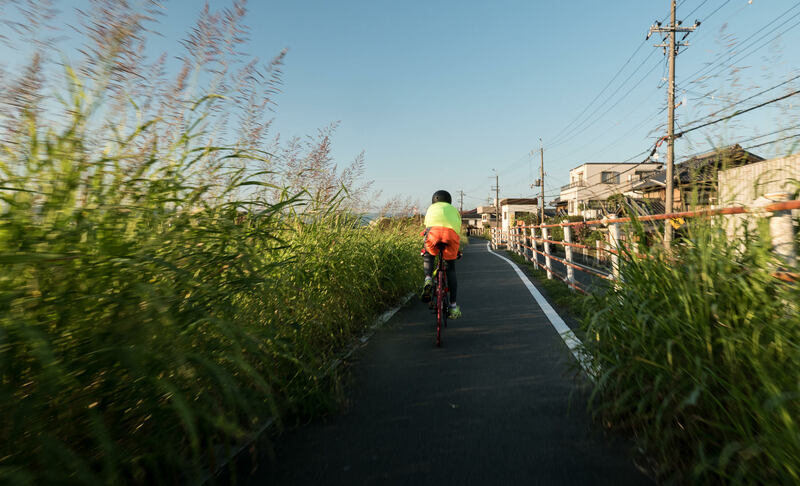 They sound like small changes, but they made a world of difference and suddenly the bike felt “right”. As a bonus side effect, the re-positioning of the handlebars required a shorter stem, so I was able to get rid of the white one that stuck out like sore thumb. Aah, just lost my last comments as I pressed subscribe without commenting (was on the iPhone) by accident…. Been using your plugins for years (thanks) so nice to see the bike stuff getting in there too..
By the way, you must be so strong, an absolute beast, if you were doing so well on the flat-bar bike before you got your real road bike. I think your friends were right in admiring how strong you were on your old bike. Came to visit your blog (from the Canary Islands, where there is perennial cycling weather….) through a “Nikon”-related search. Visited frequently, because you took the time to take nice pictures, posted relevant stories, but the “real killer app” was the EXIF info…. 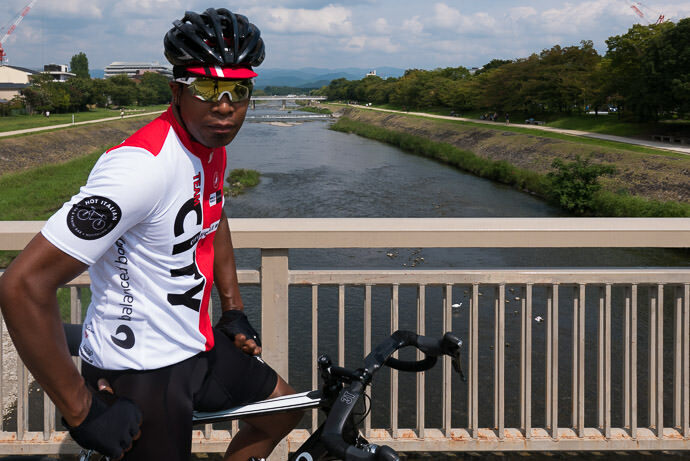 Now, I am cycling more or less daily for more than thirty years and I appreciate & admire you, how you got started cycling and “got it right” from the very beginning. 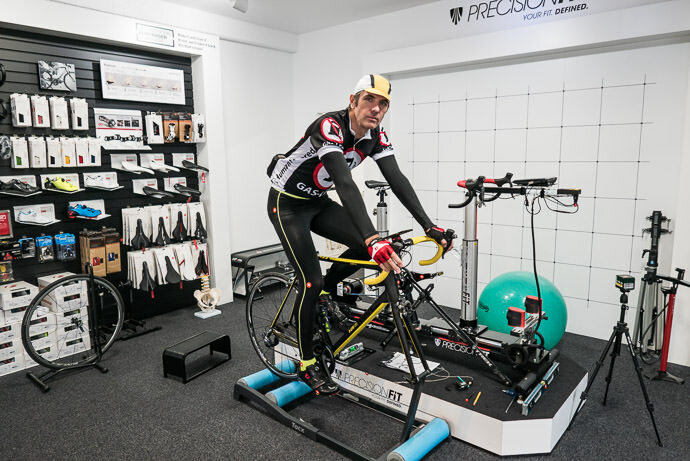 You chose excellent stuff and didn´t cheap out, the bike fitting might seem unnecessary to others, especially if one finds out how much that costs, but you will find out, that that is the money best spent. Correct cycling position will prevent a lot of chronic pain years later. And to me, judging from the pictures, it looks like you have “time-warped” your development towards being a serious rider. Thanks for taking the effort to detail your bike-building-adventure and rides. Just found a link to this blog on a Di2 thread. Appreciate the very clean images (and image data) as well. Happy, safe riding. Just wondering: Are you still happy about your Rose bike? Great, thanks for the feedback about Rose!